Do You Know the Key to Success in the VA Claims Process? Have you ever been out deer hunting in the Ozark Mountains of Arkansas? It’s a beautiful landscape, and when you go deep enough into the mountains, there are some big deer. #1: You want to find the Bedding Areas where deer “herd up” for the night night. #2: You want to find where they get their food and water throughout the day. #3: You want to find where they go to hide throughout the day – the “safe spots” where they hide out and lay low throughout the day. What does this have to do with VA Claims Process, you might ask. 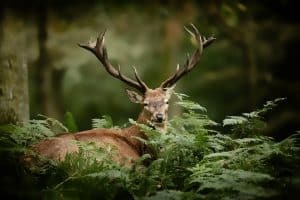 Just as the secret to a successful hunt means knowing the routes deer take through the woods, the key to success in your VA Claim is this:. Knowing the Path Your VA Claim or Appeal Should Take. VA Claims for service connection follow the same predictable process. Knowing this process can make the difference between changing the way you experience the VA Claims Process, and getting stuck for decades in the VA Hamster Wheel. What is the VA Claims Process? 1) Filing the claim with the VA Regional Office (VARO). 2) Appeal ANY part of the VA Ratings Decision you don’t agree with and seek a Decision Review Officer (DRO) Conference. 4) Challenge errors of fact and law in your BVA decision by appealing to the Court of Appeals for Veterans Claims (CAVC). 5) Challenge legal errors made by the CAVC to the Federal Circuit Court of Appeals. That’s it. 5 Basic steps. As in anything, though, the path you take to get from step to step is filled with traps and pitfalls for the inexperienced. Don’t Get Ambushed as you Navigate the VA Claims Process. I didn’t know how to tell him this, but he was about to get ambushed. What he didn’t know was that he was not getting a second DRO conference; he was sitting at arguably the most crucial crossroads in his VA Claim – the BVA Hearing. The BVA Judge was about to decide the fate of his claim – and he was totally unprepared to present his evidence and arguments to the Board. * Do you KNOW What to Expect at each Stage of the VA Claims Process? 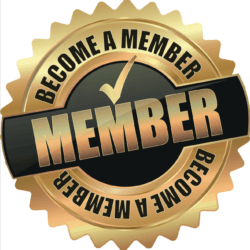 * Do you know how to get the MOST out of your DRO conference? 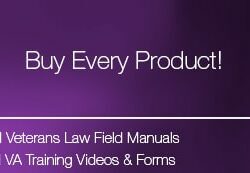 * Do you know what 3 forms MUST be prepared to perfect an appeal to the BVA? * Do you know what the CAVC can – and cannot – decide? This information is SO important to a successful VA Claim that I am often shocked at Veterans that don’t know about it. Do You Know What to Expect at each Stage of the VA Claims Process? Knowing the basic 5 steps of the VA Claims Process is important; but you also want to know what to expect at each stage of the process – from the VA Regional Office to the Court of Appeals for Veterans Claims. * What Key Language that MUST be in your Notice of Disagreement? 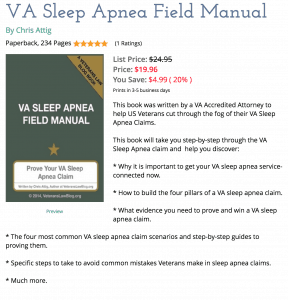 * The 8 Steps to Improving Your OWN VA Claim? * 8 Things You NEED to know about the Court of Appeals for Veterans Claims. If you don’t know these things…and much more…you are swimming upstream against the current. You are stumbling through the woods, hoping to bump into a deer. What do YOU need to know about how VA Claims Process works? Tell me in the comments below, or send me a message using the neon green support button in the lower right corner.